The Department of Religious Studies of the University of Zurich (Switzerland) celebrates its 10th anniversary this week. On this occasion our Permanent Senior Research Fellow Hubert Seiwert has been awarded the honorary doctorate of the University of Zurich for his merits. 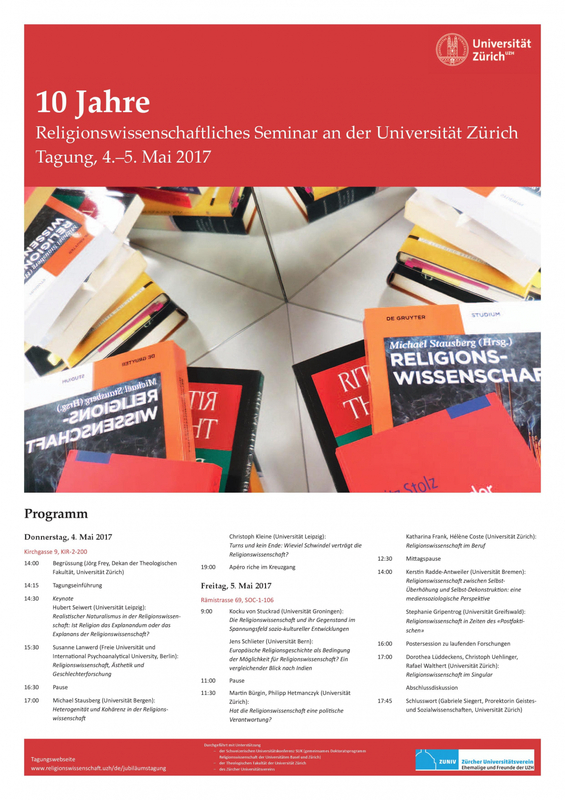 He and our director Christoph Kleine will also contribute to the 10th anniversary conference of the Department (4-5 May 2017) titled "Reflexive Religionswissenschaft (Reflexive Religious Studies)". Hubert Seiwert has received the honorary doctorate for his merits in connecting historical and social-scientific questions and for his fundamental contribution to theory construction in Religious Studies, especially in the fields of the history of religions in China, processes of religous pluralisation and for his research on different forms of religious nonconformism. Not least he has been honored for his support of and contribution to the development of the Department of Religious Studies in Zurich. Hubert Seiwert and our director Christoph Kleine will both contribute to the anniversary conference. Seiwert will deliver the keynote: "Realistischer Naturalismus in der Religionswissenschaft? : Ist Religion des Explanandum oder das Eplanans der Religionswissenschaft (Realistic Naturalism in Religious Studies? : Is Religion Explanandum or Explanans of Religious Studies?)" on 4 May, 2:30 p.m. Christoph Kleine will speak at 5 p.m. the same day, his contribution is titled: "Turns und kein Ende: Wieviel Schwindel verträgt die Religionswissenschaft (Turns with no End in Sight: How much Swindle do Religous Studies tolerate? )".